Research from the University of Toronto has shown that in some neurodegenerative diseases, two hallmarks of cell aging – protein aggregation and a type of DNA instability – are linked. They were previously thought to be unconnected. The researchers used cellular models of amyotrophic lateral sclerosis (ALS) and spinocerebellar ataxia and found that the gumming up of certain proteins undermines the stability of ribosomal DNA repeats – repetitive genetic sequences essential for manufacturing all proteins and cells. “We found that protein aggregates shorten the lifespan of the cell by compromising the stability of the highly repetitive ribosomal DNA sequences,” says Karim Mekhail, an associate professor in the Faculty of Medicine’s department of laboratory medicine and pathobiology who holds the Canada Research Chair in Spatial Genome Organization. The journal Communications Biology published the results earlier this month. Repetitive DNA sequences comprise over half of the genome in some organisms, and they are essential to cell function. But they are susceptible to reorganization, which can lead to chromosomal rearrangements, premature cell aging and disease. 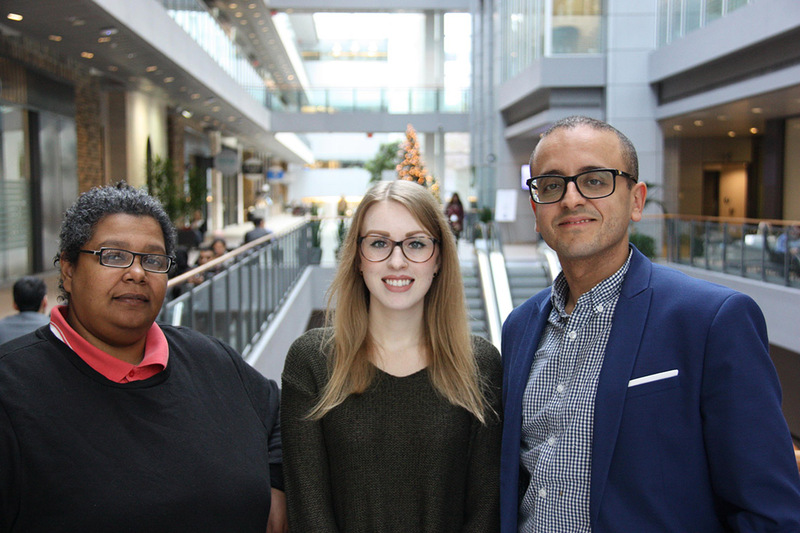 Mekhail and his team, including doctoral students Lauren Ostrowski and Amanda Hall, first found that trouble-making proteins – which emerge from repetitive DNA sequences called transposons – aggregate in yeast cells humanized with mutations found in patients suffering from ALS and ataxia. They then mapped how the aggregates destabilize ribosomal DNA repeats and lead to premature yeast cell aging, before confirming the findings in human cells. To identify new and urgently needed therapeutic approaches, the researchers are now testing if drugs that disrupt transposon protein aggregates restore genome stability and cell lifespan in various neurodegenerative diseases. The research was funded by the Canada Research Chairs program, the Canadian Institutes of Health Research, the Natural Sciences and Engineering Research Council of Canada and the Ontario Ministry of Research and Innovation.